I return to my pew. I kneel very quietly. Jesus Is in My Heart. These are very holy minutes. They are very important. Jesus is with me. He will stay for about fifteen minutes. Really? REALLY? You mean to tell me that the little wafer you just put on my tongue may very well stick to the roof of my mouth for a longer period of time than God will stay with me? I don’t recall the impact this notion had on my seven year old mind at the time but I do recall another teaching that so baffled me I could not accept it, even at that young age. I was taught that only the baptized would go to heaven and see God after they died. Sinners and those who had died unbaptized would go to hell and would never see God face to face. But there was a special place called Limbo for those poor unfortunate babies who died before anyone could baptize them. These babies wouldn’t suffer the torments of hell but nevertheless, they also would never see God. Really? REALLY? You mean to tell me that if a baby died without having someone splash water on its head and say a few magic words, that baby would never see God? Although it’s more familiar because it was the church of my youth, it’s not just Roman Catholic theology or doctrine that stymies me. In recent years we’ve seen so many stories of members of the Westboro Baptist Church protesting at funerals of victims – victims of violence, of hatred or war – carrying signs saying things like “God hates fags” or “Thank God for 9/11” or “Thank God for dead soldiers.” Really? REALLY? You mean to tell me that your God rejoices in the loss of innocent lives? That your God hates any human being, or even has the capacity to hate? 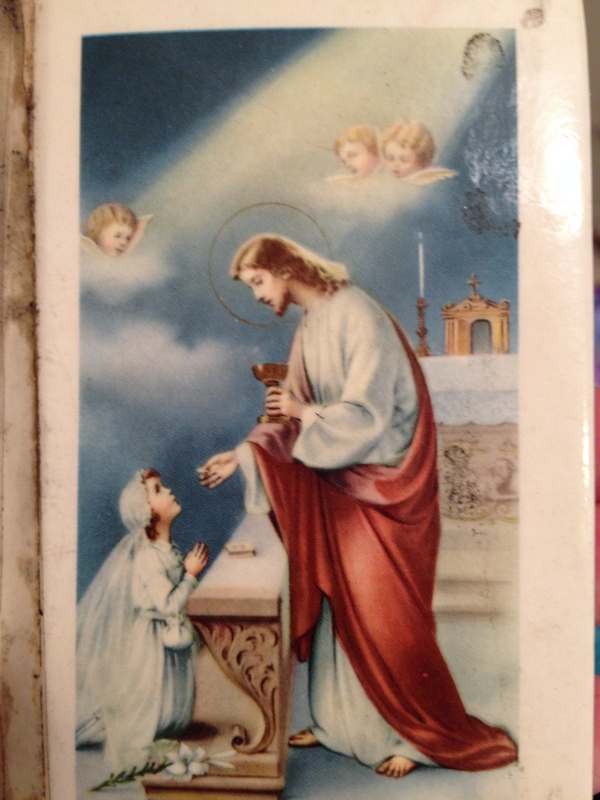 Can God really be so small that he comes to you for only 15 minutes in a ritual sacrament, that he would toss aside a child for eternity, that he can hate someone because of who they choose to love (or because of the color of their skin or the way they choose to worship or their gender or their size, or any reason for that matter)? If that’s true of your God, I feel sorry for you because my God is too big to fit inside your tiny, narrow-minded, hate-filled, self-centered legalistic world. We believe that we are created in the image of God but in fact, we also create God in our image. We must – it is the only way we can even try to comprehend God, to put God in terms that we can understand, relate to, believe in. Whether my image is as simplistic as the old white man with a gray beard (the good father image of an old-time theologian), a God who hates fags (because I hate fags), one who stays only 15 minutes (because that’s as long as I think I need to hang out), or even a big fat black lesbian (because I fit into one or any number of the above categories). Or whether it is something more akin to what we see in nature or something more ephemeral – God as Mother Earth (something that gives me life, that I can touch and experience with the senses) or the ideal all-encompassing image of love that we need to hold onto in order to feel that we are somehow worthwhile. If I am created in God’s image, I am certain it is not because God is white or female or lesbian or Christian or impatient or rude or angry (all of which I am or can be). But if I am created in the image of God, let it be the love, the empathy, the willingness to give, the beauty, the joy of God that I can image in the world.